- Completed the above and obtained Ph.D.
After graduating from Kyoto University, Professor Niwa played an important role as a researcher. In 1984, when he worked as an associate professor at Hiroshima University Research Institute for Nuclear Medicine and Biology he made many research achievements regarding the heath effects of atomic bomb survivors, especially in the area of Radiation Carcinogenic Mechanisms. In 1997, Professor Niwa also made important achievements as the lead professor at the Kyoto University Radiation Biology Center. He is highly respected internationally and has held prominent positions such as President of the Japanese Radiation Research Society, a Member of Committee 1 on the International Commission on Radiological Protection (ICRP, 2001-2009), President of the International Association for Radiation Research (IARR), and member of the ICRP Main Commission (2009- to the present). 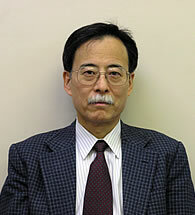 Currently, he is an Extraordinary Professor at the International Department of Fukushima Medical University. He is devoted to helping the people of Fukushima Prefecture and is the recipient of much gratitude and admiration there. Professor Niwa has been highly evaluated on the grounds of all the above activities, and thus selected as the recipient for this time's prize.